In one of the courses I teach, an introductory course in our teacher education program, students have to spend 15 hours in a field environment. The purpose of this time requirement is simply to allow students to get acquainted with the many roles of teachers in schools today, especially knowing that many aspiring teachers do not know much about public education other than what they can remember from their own experiences. This field time gives them the opportunity to observe and discover if this is really the path they want to take. At the end of their time in the field, I ask students to submit a written reflection on what they learned. Repeatedly, students shared that they didn’t really know why they had to do the field hours and they felt it was just “busy work.” I immediately knew that while I had clearly thought out the purpose of this assignment, I failed to actually communicate this to my students. I learned just how important communication is to creating a meaningful and purposeful learning experience for students. I decided to implement a new approach to my class assignments. I used these guidelines to help me establish deeper meaning and purpose to the tasks I was asking my students to complete. 1. Ask yourself first: Why am I having students do this? What is the purpose? What knowledge or skill do I want to transfer? If you cannot come up with good reasoning, then the assignment or task is probably not worth students’ time. 2. Clearly explain the assignment’s purpose (along with other important details). Connecting an assignment’s purpose to the class learning goals and objectives helps students to see meaning in a learning task. It is also important to provide students with real-world examples of how the learning task will apply to their future academic and/or career goals. For example, I tell future teachers in field assignments to look for classroom management and assessment strategies that teachers use with students. 3. Provide students with written instructions. Unless they pay attention to every word and detail that comes out of your mouth, there is a good chance that they won’t remember what you shared later when they are actually completing the assignment! I used Mary-Ann Winkelmes’s transparent assignment guidelines from ACUE’s module on aligning assignments and activities with course outcomes to help me establish written guidelines and articulate the purpose of each activity and assignment. On the major assignments, I included brief statements that described the learning objective and the learning purpose (The purpose of this assignment is to…). I also wrote out short, specific, step-by-step directions to help guide students toward completing the assignment or task. 4. Provide examples, both good and bad, of student work from previous semesters. This allows students to see exemplars of excellent work and begin to draw conclusions about work that does not meet the standard. 5. Give clear grading expectations. Use rubrics and measurement tools that focus on mastery learning and allow students to self-assess their performance against a clear standard. 6. Consider using a graphic syllabus as a road map to synthesize and provide a big picture of the course assignments and how they fit together as a whole. I wanted to let you know I went to my first observation today, and I 100% understand its purpose now. I get how important it is for us to experience some classroom time to decide if we like teaching. I have never been so excited, scared, nervous, and happy at the same time. I believe I experienced all the ranges of emotions from doubt to awe at how much teachers handle but got to see how worth the work is when kids thanked and hugged their teachers at the end of the day. With that being said, I just wanted to thank you for how well you introduced the focus of observations in our introductory class meeting at the beginning of the semester. I definitely kept your suggestions in mind to soak in as much as I could and use it to make a wise decision about the career itself. Establishing a clear purpose for the course and all related assignments is a vital aspect of creating a meaningful and deliberate learning experience for students. 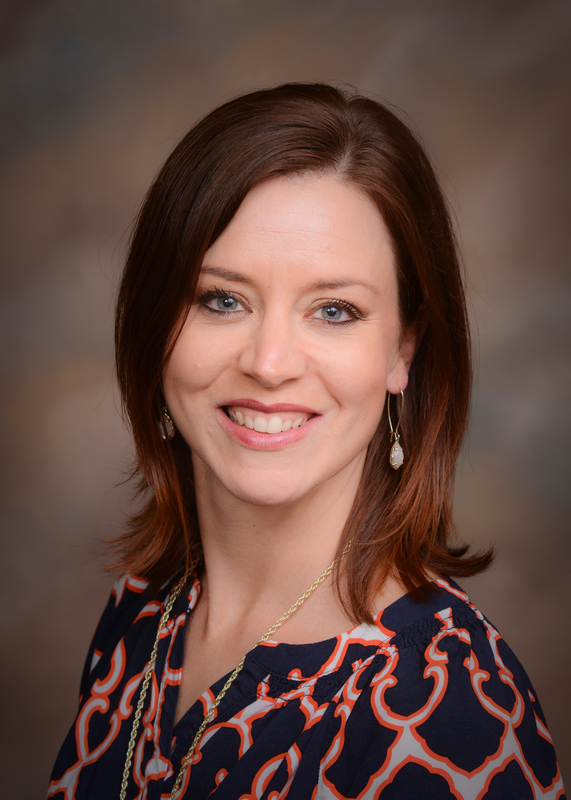 Amanda Hurlbut is an assistant professor in the teacher education department at Texas Woman’s University. Her research interests include teacher education, 21st-century learning, assessment strategies, and online education. Her article “Checking for Understanding” was published in the June/July issue of The Teaching Professor, and she currently sponsors a new teaching blog for novice teachers. She earned her ACUE credential in effective teaching practices in spring 2018. Fabulous article! Thank you for sharing your experience and knowledge. I present on the topic of Student Engagement and the importance of connection and relevancy. We all need to feel that what we are doing is connected to our interests. Helping students connect can go even further than the subject being taught. The connection can help students find their purpose.